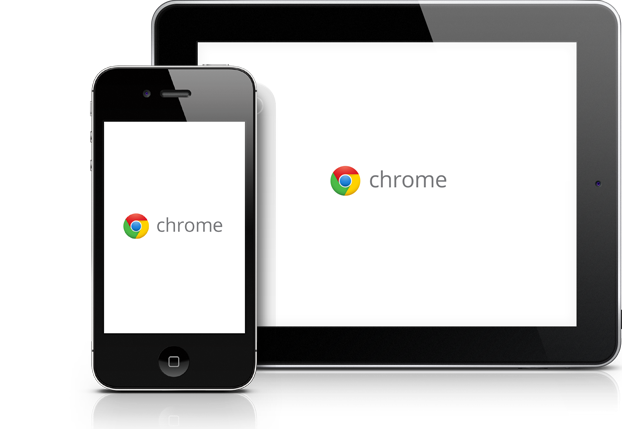 About two weeks ago Google released Chrome for iOS (i.e., the operating system for the iPad, iPhone,and iPod Touch). For those that are not tech savy, know that Chrome is a web browser much like: Explorer, Firefox, and Safari. While Apple's Safari is a decent option to use as a web browser on my iPhone and iPad, I have always longed for Chrome. For almost three years Chrome has been my main web browser on my desktop. Thought 1: Chrome for iOS is a much better option than Safari for iOS. You should definitely download it if you have an iOS device. Tabbing and opening up a new window is smoother and more efficient with Chrome. For example when you open a new window in Chrome, all your favorite sites show up as large icons, which allows you to get to the sites you like in the shortest possible time. Chrome also has incognito browsing, which allows you to browse the web without leaving any tracks. Do not abuse it! Lastly, Chrome for iOS has the unibar, which allows for the use of a single bar that functions as both a search bar and an address bar. Most other browsers, including Safari, have two bars, yuck. Who amongst us has not been frustrated trying to use address bar to perform a search, but are unable because we cannot use spaces? Thought 2: Chrome for iOS is great, but... there is still the issue that all apps link to Safari. So, you will inevitably use Safari more times that you care. Google has recently given iOS app developers the "know how" on how to circumvent this issue. Will Apple ever give us the option to make Chrome the default web browser on our iOS devices? I doubt that will happen anytime soon. Thought 3: How shameful is Google? The overwhelming majority of Android users (their own operating system) cannot use Chrome (their own web browser). When I tried to tell my Android using friend, Matt, about Chrome and to download it on his LG Nitro, he could not download it. The LG Nitro runs Android 2.3 (i.e., Gingerbread). Only Android devices running 4.0 (i.e., Ice Cream Sandwich) or greater can download Chrome. Here is the worst part, the LG Nitro was released a full month after the iPhone 4S. There is no reason for this travesty.